The much awaited Dermalogica Charcoal Rescue Masque has been launched this April. A fast acting pick me up for all skin types, that will leave your skin healthy, vibrant and glowing. 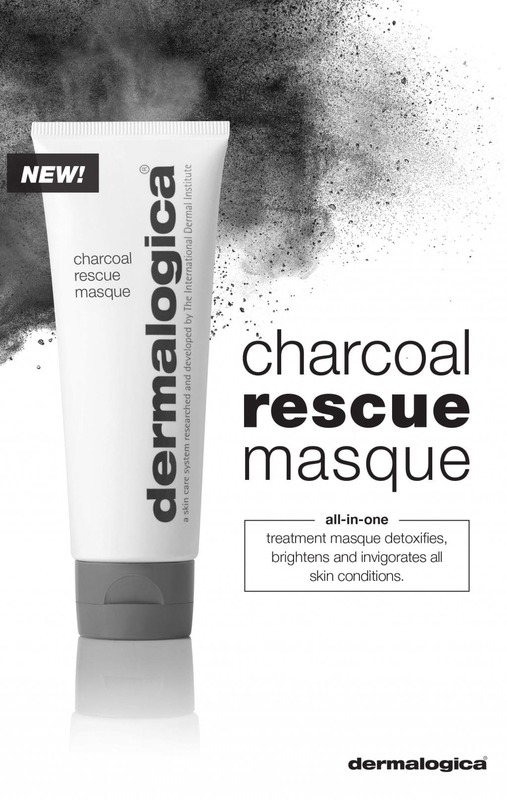 The NEW Dermalogica Charcoal Rescue Masque launched this April. A multitasking masque suitable for all skin types, that will remove the trial and error issues of finding the right product for you a thing of the past! 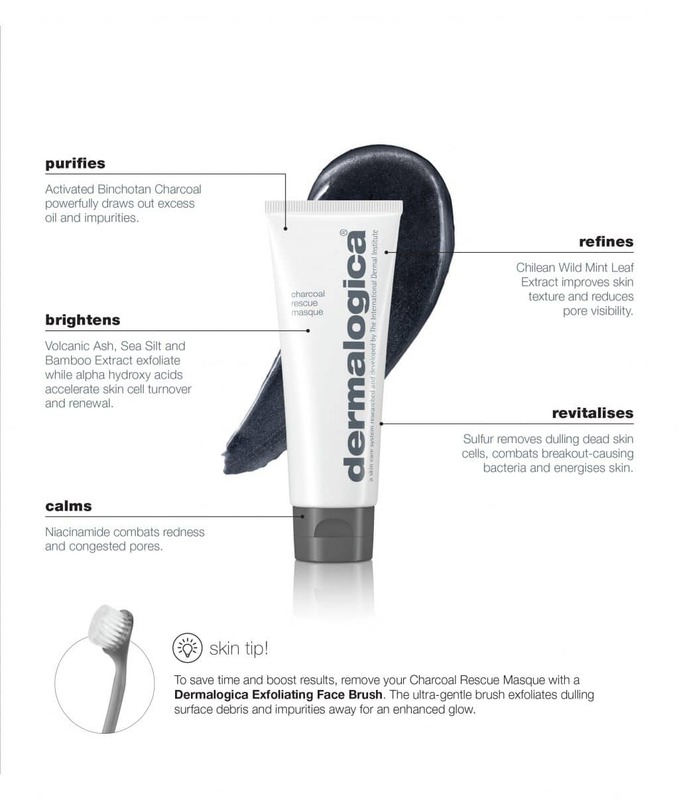 Turn your tired, lacklustre skin into skin that has a healthy, vibrant glow with the new Charcoal Rescue Masque. It detoxifies, brightens, and invigorates all skin conditions, with ingredients that draw out excess oil and impurities. It also refines pores, calms redness, and improves skin texture and smoothness. With the power to address skin ageing, dullness, breakouts, and sensitivity. The Charcoal Rescue Masque significantly enhances cleansing, helping remove dirt build-up and stimulate cellular turnover, making it a go to for healthy, glowing skin. Refines-Chilean wild mint leaf improves skin texture & reduces pore visibility. Brightens-Volcanic Ash, Marine Ash, Sea Silt & Bamboo extract exfoliate alpha hydroxyl acids accelerate cell turnover & renewal. Revitalizes-Sulphur removes dulling dead skin cells, combat breakout-causing bacteria & energizes skin. Calms-Niacinamide combats redness & congested pores. To use the Charcoal Rescue Masque, all you have to do is cleanse your skin, apply the masque generously to the face and throat, avoiding the eye area. Leave it on for 7-10 minutes, then lightly massage with wet hands, which enhances exfoliation during removal. Rinse thoroughly, and follow with a Dermalogica moisturiser. Your skin will appear brighter and smoother after just one use. You can apply the masque up to four times a week, whenever your skin needs rescuing. Getting smoother, brighter, and healthier skin has never been easier!